Will we see this rivalry? AJ Styles is one of the leading superstars of the WWE. The Smackdown Live is called the house that AJ Styles built and he is an essential part of the blue brand. Styles participated in the traditional six-man Elimination Chamber match, but he failed to grab the WWE title. Styles challenged Daniel Bryan for the title at Royal Rumble, but he failed to capture the most prestigious title of the blue brand. With Kevin Owens set to challenge the current WWE champion, Styles might not be in the title picture at the Grandest Stage of Them All. Hence, he requires a new opponent for WrestleMania. WrestleMania 35 is just a month away, and the excitement is sky-high for the WWE Universe. The biggest wrestling carnival is scheduled to take place on 7th April, at Metlife Stadium in New Jersey. In fact, WrestleMania 29 was held in the same venue which was very successful. Styles is a veteran in the squared circle who had a massive reputation before WWE signed him in 2016. The Phenomenal One has won the US title twice, and the WWE World title twice. In fact, his last WWE World title run lasted 371 days which was the eighth longest WWE title run in recent history. Here, we discuss three best possible superstars who could face AJ Styles in New Jersey. 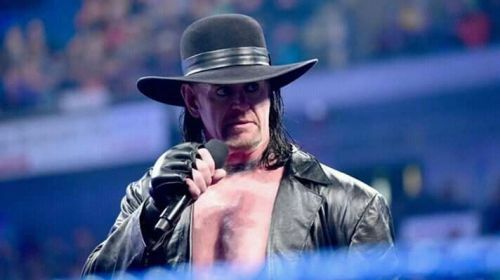 The Undertaker could be a dream opponent for any superstar, and he is certainly a remarkable opponent for Styles. The Phenom's last bout was at Crown Jewel when he teamed up with Kane to fight DX. The Undertaker is known as one of the greatest wrestlers to grace the ring. The legendary superstar has been part of WWE for 29 years, and he has cemented his legacy. He had unforgettable feuds with Stone Cold, Kurt Angle, the Ultimate Warrior, Triple H, Brock Lesnar and many more. Though Undertaker won the WWE title seven times, his most notable achievement was the WrestleMania streak which was broken by Brock Lesnar. Currently, the streak record is 24-2, and his other loss came against Roman Reigns. 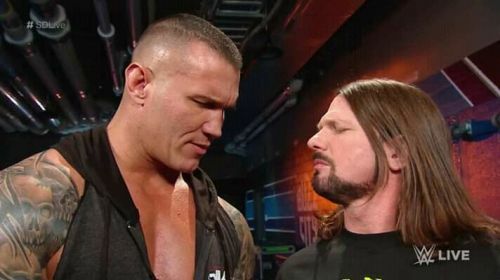 WWE could sell the fight as Phenom vs Phenomenal One if the two men lock horns at the Grandest Stage of Them All. Since the 53-year old is in the twilight of his career, Styles could be an ideal candidate to retire Undertaker. Moreover, Styles could lift his stature in WWE if he faces Undertaker at WrestleMania 35.